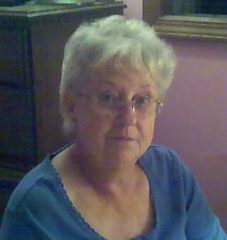 Nancy Brian, 75, of Syracuse, passed away on April 22, 2018 at her home. She was born on March 18, 1943 in Battle Creek, MI to Ed & Ila (Garrett) Hutchings. On October 17, 1970 she married Roger Brian who survives. Along with her husband, she is survived by her son Michael (Kathy) Brian of Columbiana, OH. 2 grandchildren. 1 brother – Tom (Millie) Hutchings of Ft. Wayne. There will be a graveside service at Syracuse cemetery on Friday, April 27, 2018 at 10 AM. Eastlund Funeral Home is handling arrangements.